Hello again! I’d like to thank my fellow craftster Karmyn for demonstrating how to reconstruct an old t-shirt into a new design by tying knots. This is so simple and easy to do that anyone, including my 13 year old friend can show you. 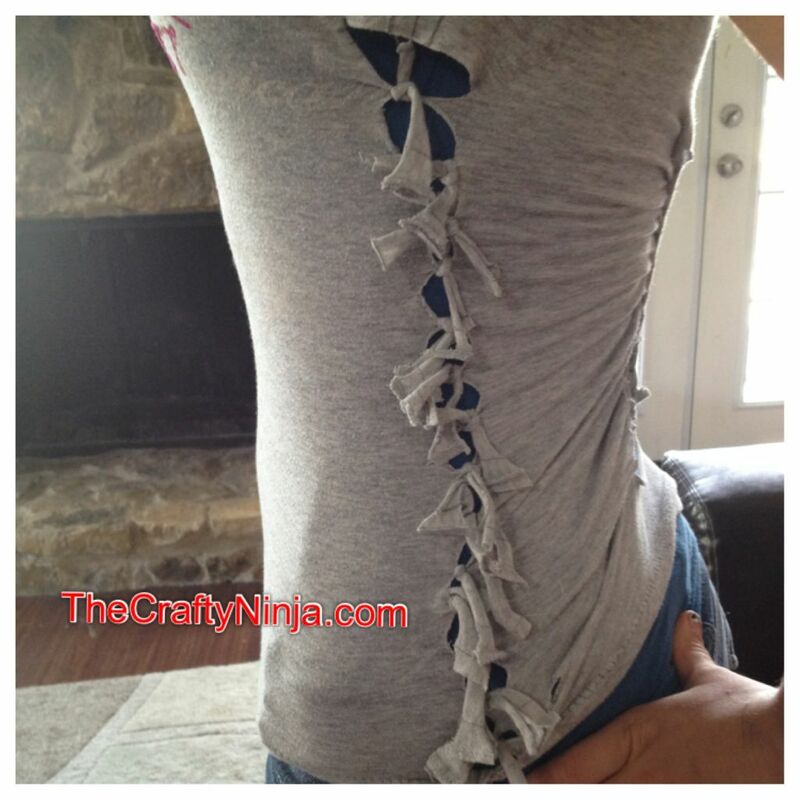 All you need is scissors and an old t-shirt and you’re ready to redesign. First lay your t-shirt flat with the top facing up. 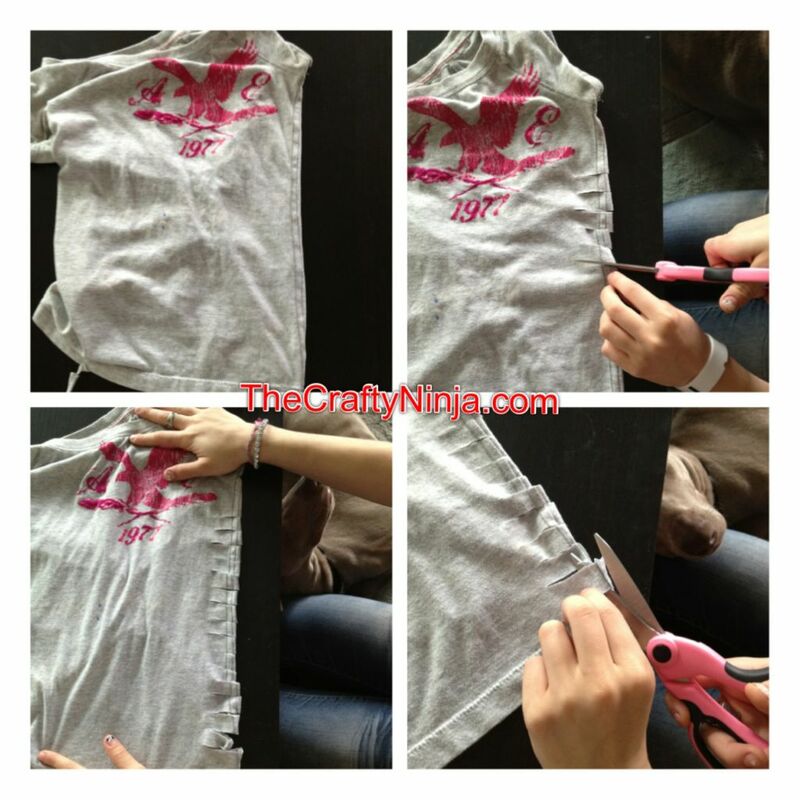 Next using the scissors cut two inches slits about one inch apart, start several inches down from the side armpit area all the way to the bottom of the shirt. This will create a loop, cut the loop on the seam (or the middle of the loop). Once all the loop seams are cut, lay the t-shirt flat so that the cut slits are facing up. 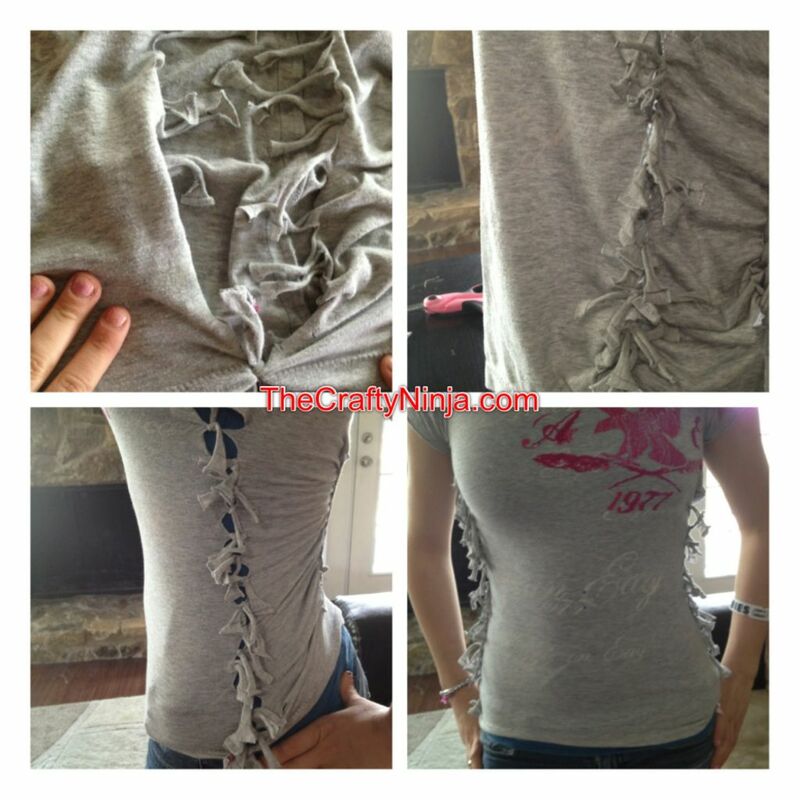 Pull all the cut strips to loosen the strips and make it longer. From the bottom carefully line the strips and tie two times creating a double knot (this will tie the two sides back together). Last tie all the strips together from the bottom of the shirt up. When finished with one side repeat the steps to the other side. When finished you have created a knotted side t-shirt design. When you wash it on the washing machine, do the nots open up? I have done it and sort of scared to wash the tshirt now. No it doesn’t come undone if the knot is tied tight enough. Don’t worry and wash away! I imagine it is like the tie blankets. You do the same thing with knotting. They don't come undone in the wash.